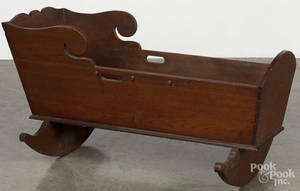 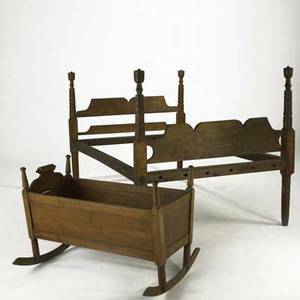 Traditional furniture; four-poster twin-size hardwood rope bed together with walnut cradle, ca. 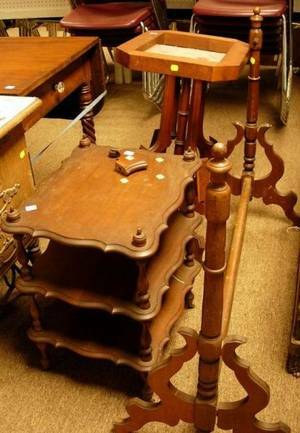 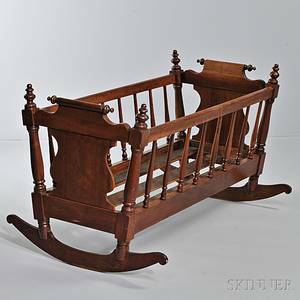 1850; cradle: 26" x 36" x 18"
Victorian Walnut Marble-top Stand a Three-Tier Stand and a Walnut Cradle Stand. 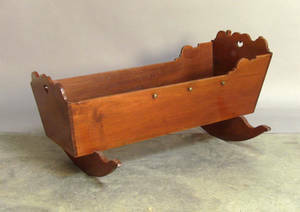 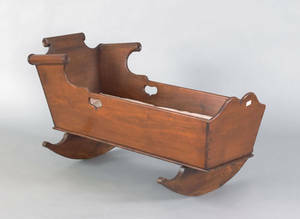 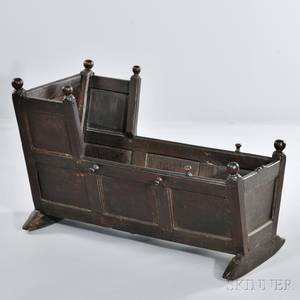 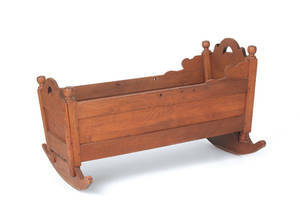 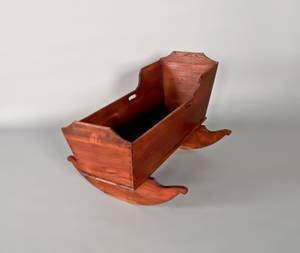 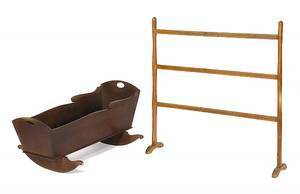 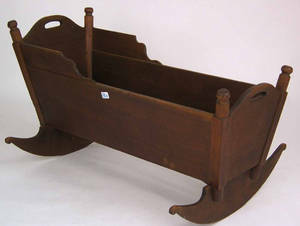 Walnut cradle with heart cutouts.